Please note: Unless otherwise noted, all items offered in this shop are written in German. (1) The provider is: Schwaneberger Verlag GmbH, Industriestr. 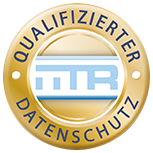 1, 82110 Germering/Germany; Telephone: + 49 (0) 89 323 93-02, Telefax: + 49 (0) 89 323 93 248, E-mail: vertrieb@michel.de; Managing Director: Hans W. Hohenester (in the following context: Publisher). Our customer service is also available under this address, telephone number and e-mail address. (2) Scope of application: These general terms and conditions apply to any orders from the MICHEL Online Shop as well as to any orders of products offered in the publisher’s catalogue. Complementary terms may apply to specific products, such as software, etc. (1) The presentation of the services offered on the website or in the catalogues is not in itself an offer for the conclusion of a contract but merely an invitation to send an order. An order may be placed by telephone, by mailing out or faxing an order card or by e-mail, addressed to the Publisher or ordered through the MICHEL Online Shop. (2) If you order through the MICHEL Online Shop, the following applies: You may place an order either through an existing customer account or without registering. In the first step of the ordering process, the customer may choose to register through an existing customer account, obtain a new customer account or order as a guest without registering. The customer may check all data before placing a binding order by clicking the button “Zahlungspflichtig bestellen“ (binding order). Prior to that step, the customer may go back at any point to correct his or her data or to cancel the ordering process by closing the browser window. The Publisher will confirm the receipt of the order by e-mail without delay. This confirmation does not yet constitute a declaration of acceptance. (3) The following applies for any means of ordering: The sales contract will be concluded if the publisher has explicitly accepted the order or implicitly delivered the ordered goods. If payment is made by prepayment or PayPal, however, the sales contract is in force as soon as the sales price has been paid. (1) The delivery will be made to the delivery address given by the customer. Concerning the administration of customer data, storage and delivery, the Publisher cooperates with Sigloch Distribution GmbH & Co. KG. (2) The delivery period is one week as of the receipt of the order. (3) The Publisher reserves the right not to deliver the service as promised in case it is not available. In the case that the Publisher is unable to deliver a service due to non-availability, it will inform the customer without delay and immediately reimburse any payment that may have already been made. (1) Payment by prepayment (bank transfer): The customer must pay the sales price into the following account within one week after the date of order: Account holder: Schwaneberger Verlag GmbH, Stadtsparkasse München, IBAN: DE51701500000000404905, SWIFT: SSKMDEMM. The order ID (in accordance with the confirmation of order) and order date must be listed in the reference of the money transfer so as to enable the Publisher to identify the order. If the payment is not received within the term and without sufficient order identification data, the sales contract will be obsolete. In that case the Publisher will return the payment received without delay. (2) Payment per PayPal (only for orders placed through the MICHEL Online Shop): After the order has been sent, the customer will be forwarded to the registration page of PayPal. After the payment has been made by PayPal, the customer will be redirected to the confirmation page of the MICHEL Online Shop. (3) Payment by credit card: The credit card listed by the customer will be debited when the payment of the sales price is due. (4) Payment by SEPA direct debit: The sales price will be collected from the customer’s bank account when it is due. The direct debit will be received by the customer’s bank one day after receipt of order at the earliest. (5) If the customer has not paid by prepayment or PayPal, the following applies: The sales price will become due as soon as the customer has received the delivery and the invoice. The customer will be in arrears with the payment 30 days after having received the goods and the invoice. As of that date, interest at the statutory rate will become due on the outstanding amount. The invoice explicitly indicates that consequence. Should the Publisher provide evidence to the fact that it has suffered any damages caused by delay exceeding the invoice amount, the Publisher will be entitled to claim same. (1) The legal warranty provisions apply. Claims that may arise from any defects will become invalid within two years after the goods have been delivered. (2) If the sales items have a defect the Publisher is responsible for, the Publisher will, at its discretion, be entitled to either remedy the defect or to provide a substitute. The Publisher has the right to decide on the remedy. If the Publisher fails to fulfill its warranty obligation or if it is delayed for a period that exceeds the appropriate deadlines or if the warranty fails in any other way, the customer will, at his or her discretion, be entitled to either cancel the contract or request an appropriate reduction of the sales price. (3) The Publisher will only be liable in the case of gross negligence or intent. This limitation of liability shall not apply to damages to body, life or health. The limitation of liability also shall not apply in the case of a culpable violation of a major obligation (i.e. an obligation, the fulfillment of which is required to meet the contract purpose and which the contractual partner may rely on); however, liability in the case of the violation of a major obligation due to slight negligence shall be limited to typical damages that could be predicted, insofar as these are no personal injuries. The above limitations shall apply accordingly to the liability of the Publisher’s organs, agents and employees. The customer principally has the right to cancel the contract for a period of 14 days. For details and exceptions, please note the information regarding the right to cancel an order. Delivery (including mailing costs) shall only be made against payment per debit, PayPal or credit card. The country catalogue will be produced after the payment of the sales price has been credited to an account the customer has been informed of. If the payment has not been made within four weeks (as of the date of order), the order will be considered obsolete. The contractual text is not stored in our computer system. If an order is placed through the MICHEL Online Shop, the contractual text (contents of order and these general terms and conditions) will be transmitted in the e-mail that confirms the receipt of the order, or otherwise it will be enclosed in the delivery. The Publisher reserves the right to any and all copyrights, competition rights and other reproduction and distribution rights. These also include the reproduction and distribution by special processes, such as photomechanical reprints, photocopies, microcopies, electronic data recording including programming, data storage and the transmission to other data carriers or memory media as well as the translation into other languages. Furthermore it includes the reproduction and distribution of excerpts insofar as the copyright does not provide for a quotation or such as an exception. In particular, this applies to any texts, illustrations (insofar as the copyrights are not the property of third parties), MICHEL® price quotations and additional information as well as the MICHEL® numbering system for stamps. The use of the MICHEL ® stamp numbering system in dealers‘ price lists that are distributed free of charge is permitted. The Publisher shall not be held liable for any mistakes, setting or printing errors. Articles that list the names of their authors do not necessarily reflect the Publisher’s opinion. Contracts for the delivery of goods that are not pre-manufactured and the production of which requires the individual selection or specifications provided by the customer or goods that are tailored to the customer’s specific needs. Contracts for the delivery of sound or video recordings or computer software in a sealed package if the seal was removed after the delivery had been made. Contracts for the delivery of newspapers, magazines or journals (single issues; the right of cancellation covers subscriptions). The right of cancellation shall expire prematurely if the customer has given his or her explicit consent that the Publisher may start to carry out the order prior to the deadline of the cancellation period as soon as the Publisher has started to carry out the order (activation of the customer’s account). The customer was informed about this provision prior to placing the final order and had to explicitly confirm that he or she had been informed about the expiration of his or her right of cancellation. You have the right to cancel the sales contract within fourteen days without giving reasons for your cancellation. The cancellation period is fourteen days as of the date on which you or a third party listed by you that is not the deliverer have / has accepted the (last) product. To exert your right of cancellation, you have to inform us (Schwaneberger Verlag GmbH, Industriestr. 1, 82110 Germering; Telephone: + 49 (0) 89 323 93-02, Telefax: + 49 (0) 89 323 93 248, E-mail: info@michel.de) about your decision to withdraw from the contract by means of an unambiguous notification statement (such as a mailed letter, a fax or an e-mail). You may use the enclosed sample cancellation form, which is not mandatory, however. To keep the deadline for your cancellation, it it sufficient for you to mail your notification of cancellation of order prior to the deadline of the cancellation. If you withdraw from the contract, we must return any payments we received from you, including the costs of delivery (excluding the additional costs that become due if you select another mode of delivery than the low-cost standard delivery offered by us), without delay and no later than fourteen days as of the date we received your notification that you cancel your order. For the return of your payment, we use the same mode of payment you used for the original transaction unless our agreement with you explicitly states a different mode of payment; in no case will you be charged any bank fees for said repayment. We may refuse to return your payment before the goods have been returned to us, or you may provide proof of the fact that you have returned the goods, depending on whichever date is the earlier date. You must return the goods by mail or in person without delay and in any case no later than within fourteen days as of the date you informed us of your cancellation of the order. The deadline shall have been kept if you mail out the goods prior to the end of the 14-day deadline. You will bear the direct costs of the return of the goods. You will only have to pay for the possible loss in the value of the goods if this loss in value can be attributed to the handling of the goods in a manner that was not necessary in order to examine the condition, qualities and functions of the goods. If you withdraw from the contract, we must return any payments we received from you, including the costs of delivery (excluding the additional costs that become due if you select another mode of delivery than the low-cost standard delivery offered by us), without delay and no later than fourteen days as of the date we received your notification that you cancel your order. For the return of your payment, we use the same mode of payment you used for the original transaction unless our agreement with you explicitly states a different mode of payment; in no case will you be charged any bank fees for said repayment. To: Schwaneberger Verlag GmbH, Industriestr. 1, 82110 Germering; Telephone: + 49 (0) 89 323 93-02, Fax: + 49 (0) 89 323 93 248, E-mail: info@michel.de. (*) Please delete if not applicable.